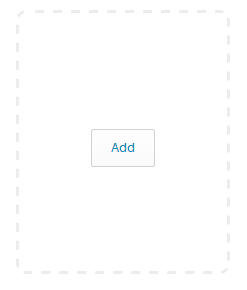 From the Dashboard, locate the rectangle with the dotted border. When the cursor is hovering over top, an Add button will appear. Click the button to begin creating the alert. Add a unique name for the alert. From the Severity dropdown box, select one of the three options available. 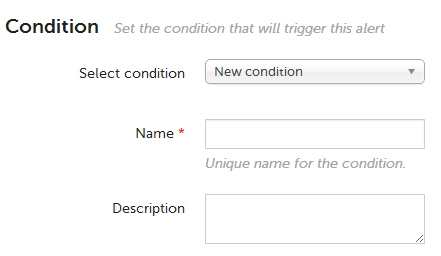 When selecting an existing conditional rule, the name of the condition will automatically populate the mandatory condition Name field. When creating a new condition the Name field must be filled in. Policy conditions trigger alerts based on CFEngine policy compliance status. They can be set on bundles, promisees, and promises. If nothing is specified, they will trigger alerts for all policy. Inventory conditions trigger alerts for inventory attributes. These attributes correspond to the ones found in inventory reports. Software Updates conditions trigger alerts based on packages available for update in the repository. They can be set either for a specific version or trigger on the latest version available. If neither a package nor a version is specified, they will trigger alerts for any update. Custom SQL conditions trigger alerts based on an SQL query. The SQL query must returns at least one column - hostkey. Alert conditions can be limited to a subset of hosts. Notifications of alerts may be sent by email or custom action scripts. Check Email notifications box to activate the field for entering the email address to notify. 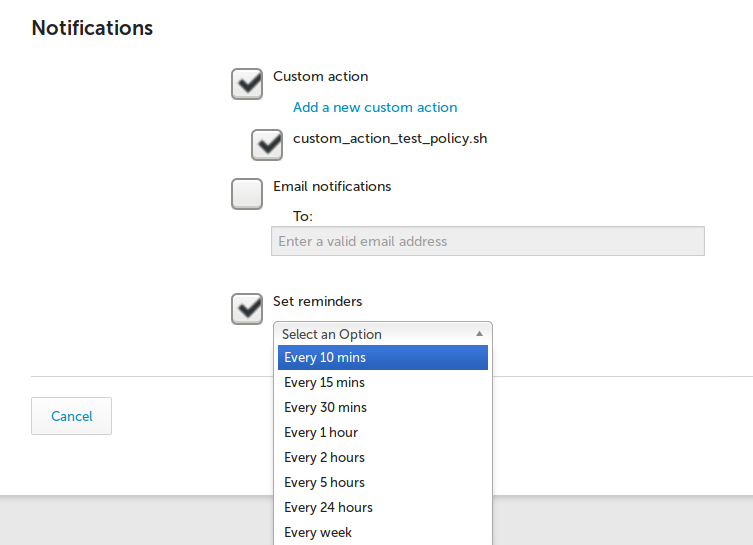 The Remind me dropdown box provides a selection of intervals to send reminder emails for triggered events.